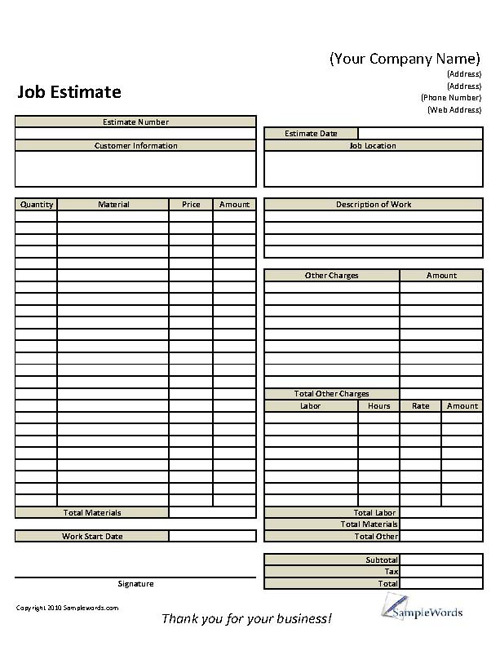 The Basic Job Estimate Form is to be used by any type of business, contractor, painter, or person that may be in business for themselves to provide a detailed estimate to a client for services rendered. 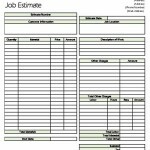 The job estimate is separated into three different sections to provide for materials used, labor charges, and other expenses. 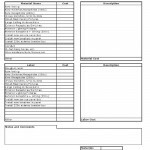 This form brings all three costs together for a grand total on one form, and serves as a job estimate for the client before the client commits to the work. 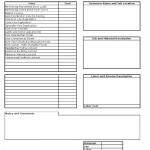 This form can also be personalized with your business name, address, phone number and website address if applicable. 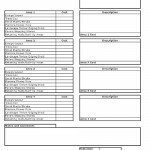 Download this form today in Microsoft Excel format for easy use.